In a technologically advanced world, the Smart 4 4000 is the next stage in electric toothbrush evolution. The slim and lightweight handle looks and feels great but the winning feature is the Bluetooth connectivity that allows you to become better at cleaning. Clean teeth and a clean mouth are key to good oral health and getting praise from your dentist. In many respects the Smart 4 brings the dentist into your home. The Smart 4 4000 comes with 1 additional cleaning modes over the Pro 3000 (Daily Clean, Sensitive and Whitening compared to the 3000’s Daily Clean and Gum Care). The Smart 4 4000 comes with 2 x CrossAction brush heads included compared to the 1 x CrossAction and 1 x 3D White provided with the 3000. The Smart 4 4000 comes with Bluetooth connectivity. The Smart 4 4000 comes with a brush head stand to hold 2 brush heads. The Pro 3 3000 comes with a travel case. The Pro 3 3000 comes in a Blue/White colour configuration compared to the White/White of the Smart 4. The Pro 3 3000 is the cheaper of the two. 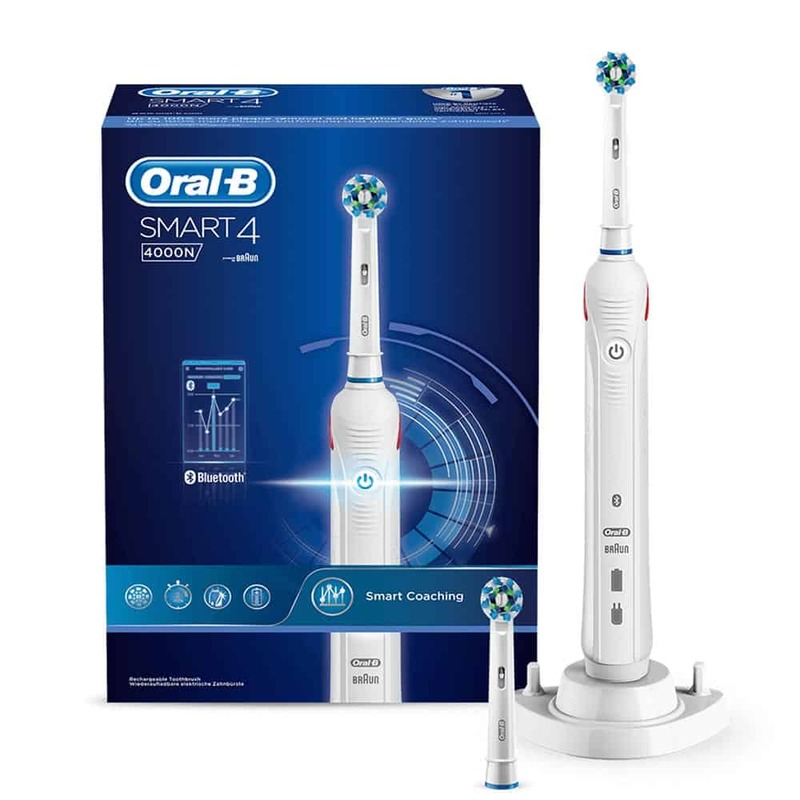 In 2017 Oral-B have launched the Pro 3 3000 and Smart 4 4000 which we are comparing here. The Pro 3 3000 is a replacement to the Pro 3000, note the extra 3 in the product name for the newer model, whilst the Smart 4 4000 replaces the Pro/SmartSeries 4000 that came before it. The primary difference between the older and new models is the battery. The older NiMH battery has been replaced with Li-Ion, doubling the battery life. A comparison of the older Pro 3000 and Pro 4000 is available here. We wish to make you aware of the different models to ensure you make the right comparison and are getting the brush best suited to you and your needs. If you would like a more comprehensive comparison of the current brushes on the market, see our buyer’s guide and roundup of the best electric toothbrushes. 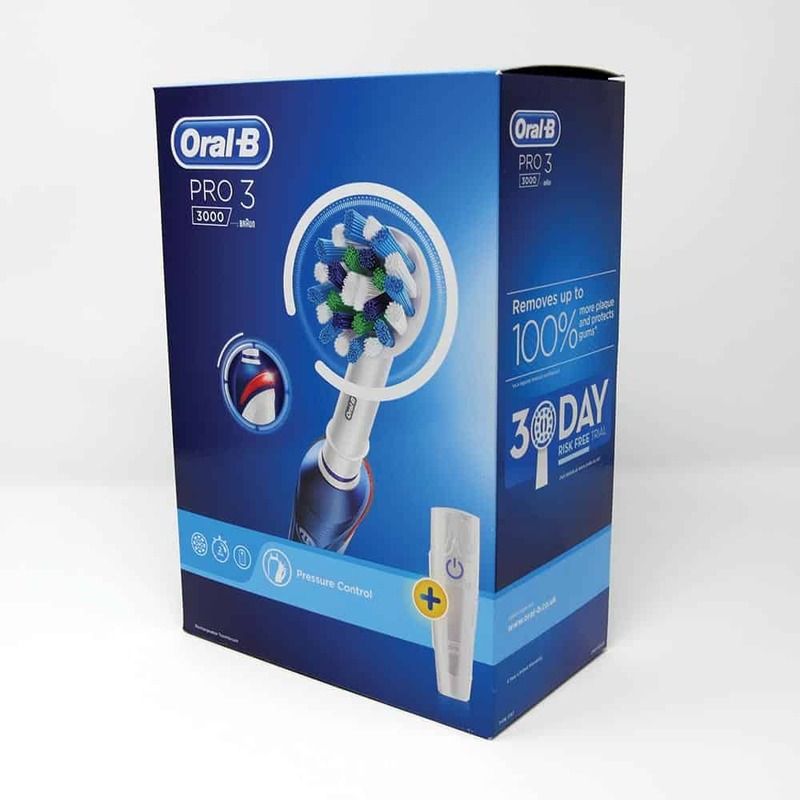 Detailed Comparison: What’s the difference between the Oral-B Pro 3 3000 and Smart 4 4000? 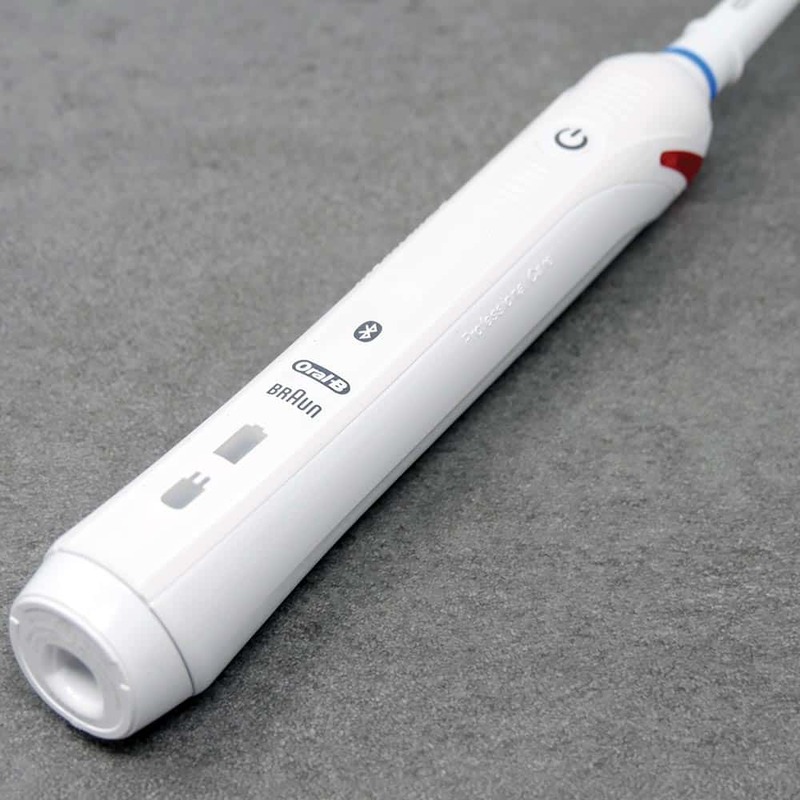 There is no denying that the electric toothbrush market is complicated and it is difficult to decipher what the differences are between models and more importantly which one to choose. Our recommendation is the Smart 4 4000 when considering the Pro 3 3000 alongside it. In this article we will explain why. This is of course just our opinion and you should make your own conclusion based on the information we present to ensure you are making the right decision for you. New models for 2017, both have seen a few changes and the first is the cleaning modes. The new models have each lost a cleaning mode so the Pro 3 3000 offers Daily Clean and Gum Care mode and the Smart 4 4000 offers those Daily Clean, Sensitive and a Whitening mode. Daily Clean is the default mode if you like that most users opt for. Gum Care and Sensitive are modes are better suited for those who suffer from sensitive teeth and gums or perhaps want the benefits of an electric toothbrush, but don’t want all the power they offer. Whitening, as the name implies is deigned to help buff the teeth up to look their absolute best. Gum Care and Sensitive modes make less movements per minute than Daily Clean and give a softer feeling on the teeth and gums. For those who really suffer, the Sensitive mode offers the least movements, thus the Smart 4 may well be the brush for you. Each of the different cleaning modes are explained in more detail in this article. Oral-B offer a range of different brush heads. Some are better suited to specific cleaning modes than others, but all work on any cleaning mode. The Smart 4 comes with 2 x CrossAction brush heads in the box. The CrossAction head is the most common head supplied with Oral-B brushes. The Pro 3 3000 comes with 1 x CrossAction, but also 1 x 3D White brush head. Best suited to a ‘Whitening’ mode, the Pro 3 3000 does not offer this. Nonetheless there are benefits to be had to using the 3D White head, even on a different cleaning mode. With either model it would be great to see the inclusion of a Sensitive brush head as we believe this would be better suited to the Gum Care or Sensitive cleaning mode, but such can be purchased separately. It is personal opinion really. We can’t fault the CorssAction head, it always leaves the teeth clean. Our Oral-B brush heads guide explains all the different heads, what they do, how they differ and which might be better suited to you. 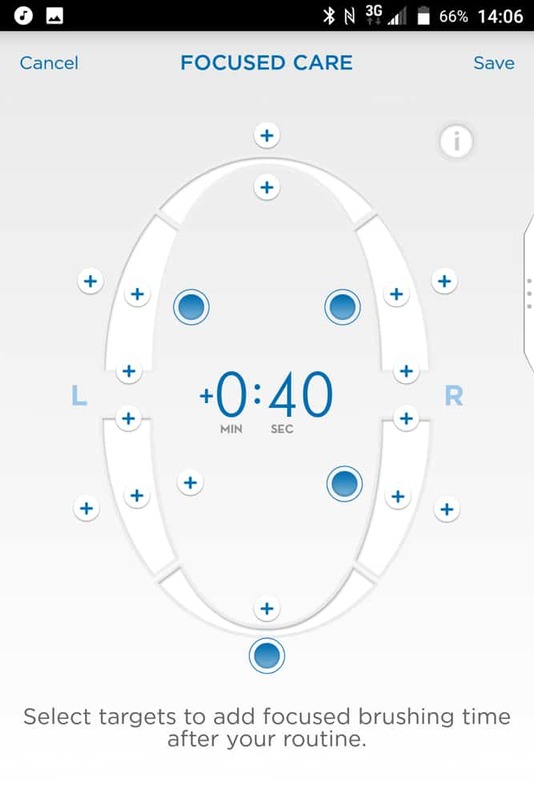 Another big differentiating feature between these two models is the inclusion of Bluetooth connectivity on the Smart 4. The name is somewhat inspired by this, as it really does make the brush smart. Using an app on your Android or iOS smartphone the brush and the phone communicate to give real time tracking as well as tips and customisation. Read the Smart 4 4000 review to get all the details, but in principle what it does is very clever and very current. It is best described like having a dentist with you when you brush your teeth. Not only does it track how you clean but gives tips and advice to be better, whilst delivering other benefits. Some class the connectivity as gimmicky. It is far from essential and you don’t have to use it, but take the time to and you will likely find that the results will be better oral health and potentially cheaper dental bills! In the box with the Pro 3 3000 aside from the handle, the heads and the charging stand, there is also a travel case. A clear plastic case that holds the handle and 2 brush heads, protecting them when in transit from damage and accidental activation, although basic it is functional. With the Smart 4 4000, there is no travel case, which is disappointing if you do travel regularly. What you do get though is a moulded piece of plastic which fits round the charging stand. It offers up 2 prongs on which spare brush heads can sit. A nice touch, it does encourage you to use the different brush head styles or gives a place to store spares. The heads are uncovered but this is not the end of the world. Which we would prefer to have is a difficult question to answer. Probably the travel case, but there are advantages and disadvantages to both. Either can be purchased separately for about £10. The penultimate difference between these two brush handles is the colour. They are the same size and shape, both feeling great in the hand. Primarily made from a gloss White plastic the brush handles have on the front a rubber grip running top to bottom. On the Pro 3 3000 this is Blue in colour and on the Smart 4 4000 it is White. The 4000 looks a touch more clinical, particularly as the power button does not stand out quite as much as on the 3000. The final difference is the price, which we will come onto in a moment. Aside from this, the brushes are the same. The battery inside is the same, offering 2 weeks battery life. A pressure sensor is available on both handles and both will resist water. Assuming you use the Daily Clean mode with the CrossAction brush head you will see no difference between these models when it comes to brushing. Make use of the Sensitive mode on the Smart 4 4000 and for certain users there may be a difference in the results that could not be achieved by the Pro 3 3000, but this is based on personal circumstance, the brush head used etc. Either brush will e a vast improvement over a manual brush the number of movements and smaller brush heads encourage a great clean and good oral health. Yes, the Pro 3 3000 is the cheaper of the two. In many respects, this is to be expected as the Smart 4 has an extra cleaning mode and the Bluetooth connectivity. The recommended retail prices are £99.99 and £129.99 giving a £30 premium for the Smart 4. Whilst prices vary from retailer to retailer, the general price difference between these two is £15-20 and the sale price essentially half that of the RRP. 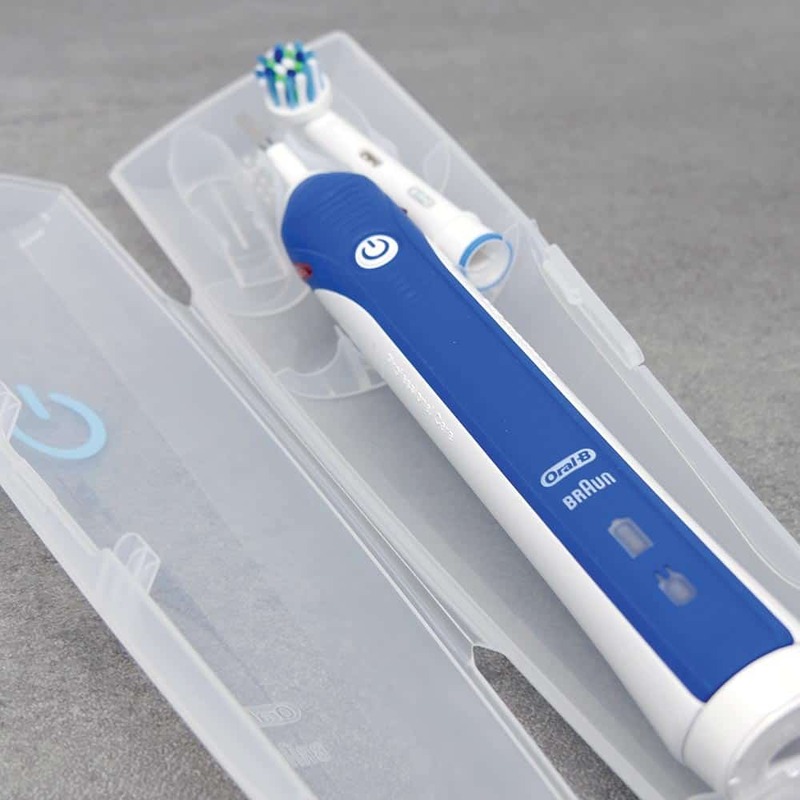 We feel that for £15 the extra cleaning mode and Bluetooth connectivity are worth the investment, given that they really encourage better oral health. The included brush head stand is a debatable, but it can be used daily, whereas the travel case is typically a less frequently used item. The Smart 4 4000 (view on Amazon) is our recommendation though. 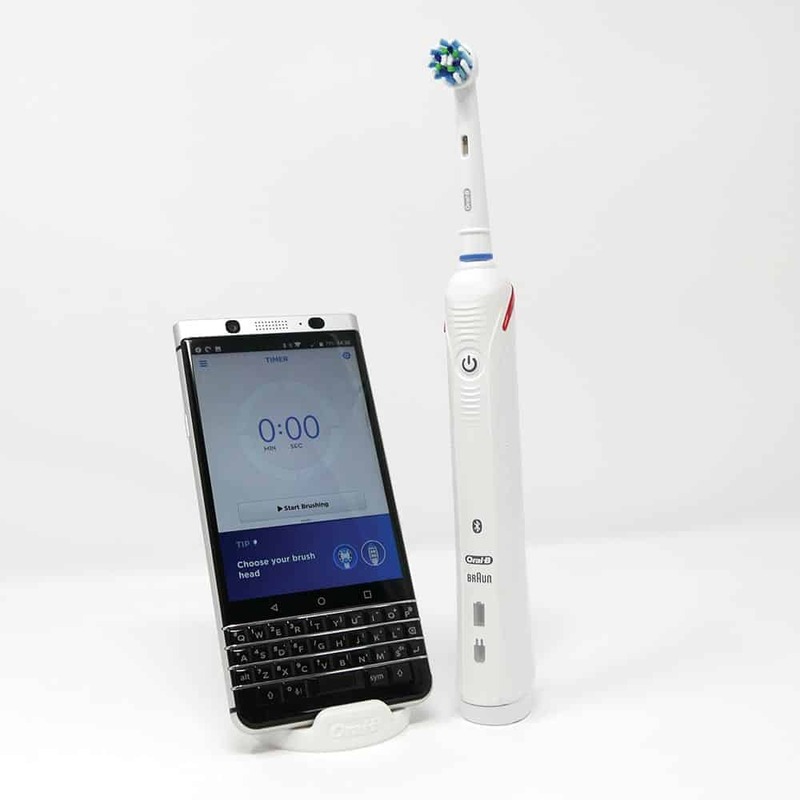 The inclusion of Smart technology helps makes oral healthcare become easier and more interactive to manage and particularly appeals to an audience used to apps and connected products. It is slim in hand and cleans the teeth well. When compared to similar connected toothbrushes it is also well priced. For those who do not want the connectivity the 3 3000 (view on Amazon) is a good option, but if this is your feeling, do too check out the Pro 2 2500 (view on Amazon).